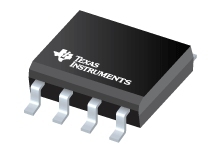 A SPICE macromodel that captures the вЂњpersonalityвЂќ of Texas Instruments CMOS op-amps has beendeveloped. The salient features of the macromodel are a MOSFET input stage, Miller compensation, anda current-source output stage. A description of the model is provided along with correlation to actualdevice behavior. This application report discusses the effect of heavy loads on the accuracy and linearity of operationalamplifier circuits.